Product Description: Exclusively Hand Crafted and composed of Stainless Steel. These Amedeo Exclusive Cufflinks will add sleek luxury style to your tailored profile. Delivered in an elegant Amedeo Exclusive Gift Box. These are a must have in every man's closet and also make a wonderful gift for that man! Designed for the classic gentleman, each Amedeo Exclusive cufflinks have been expertly designed, cut, crafted & heavy – weight pressed by the finest artisans with the highest attention to detail from premium materials making these perfect for all occasions and your favorite French Cuff shirts. MAKE & MATERIAL: Built with highly durable stainless steel, 100% brand new and high quality, gorgeous, stylish, and perfect for gifting. OCCASION & WEARABILITY: Recommended for Office or Formal Wear. 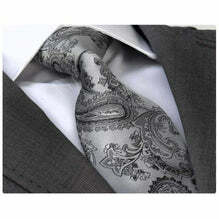 effective for wedding, meeting, party, exhibition, Business meetings, Banquet, and most formal occasions. CARE INSTRUCTION: Try to avoid spraying cologne / Perfume on the cufflinks. Always clean with a soft cotton cloth only. PACKAGING & SHIPPING: All Amedeo Exclusive cufflinks come packaged in a high-end gift box.